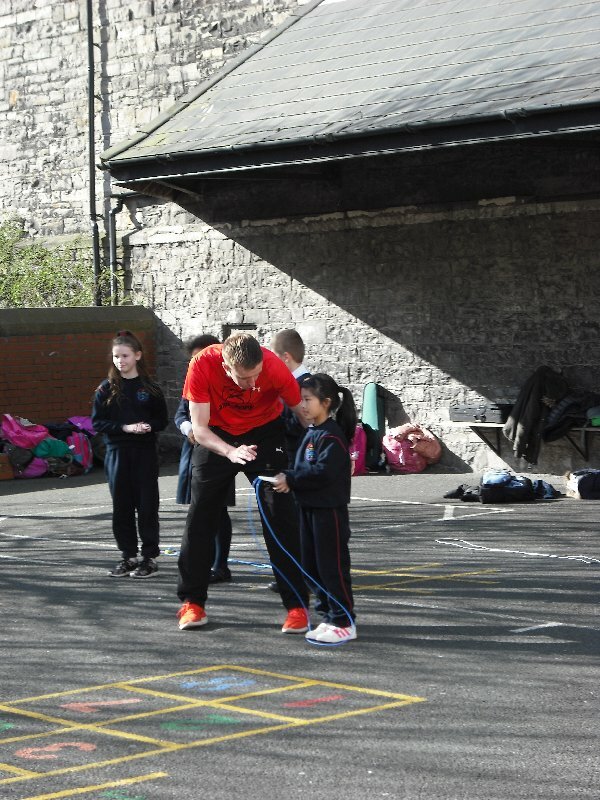 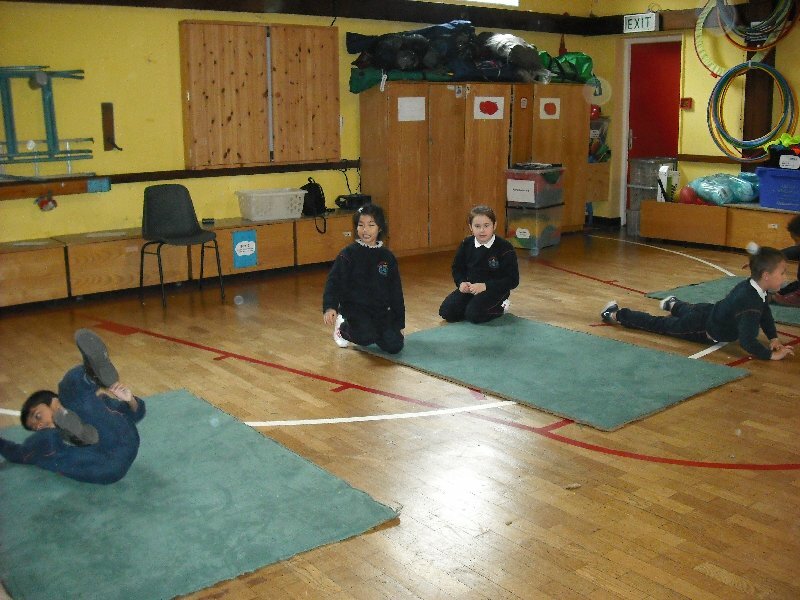 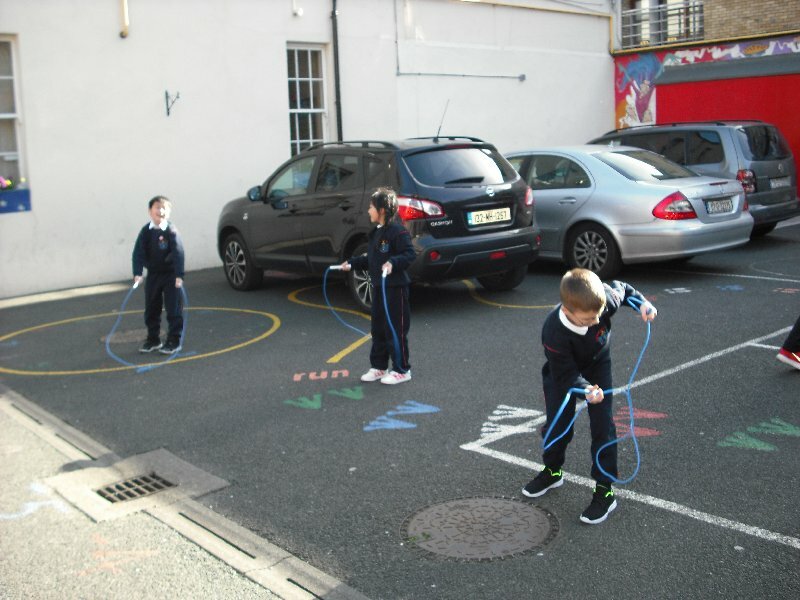 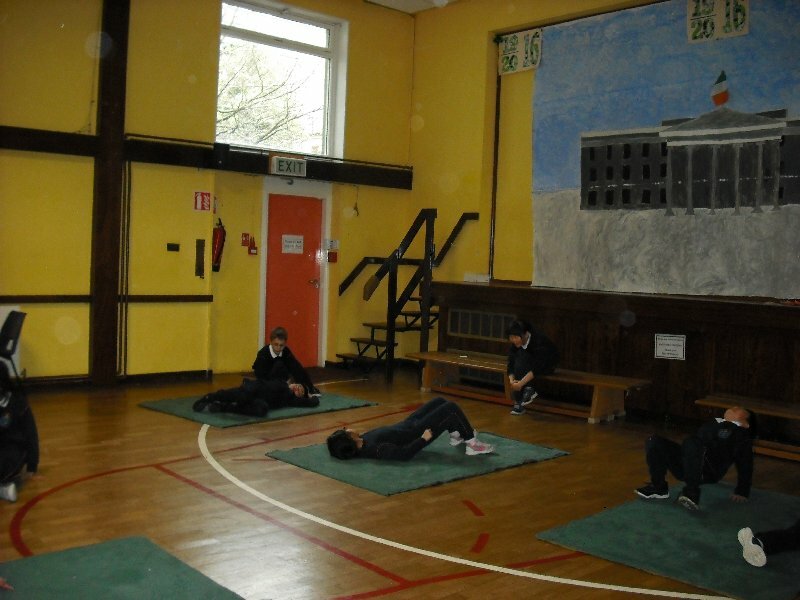 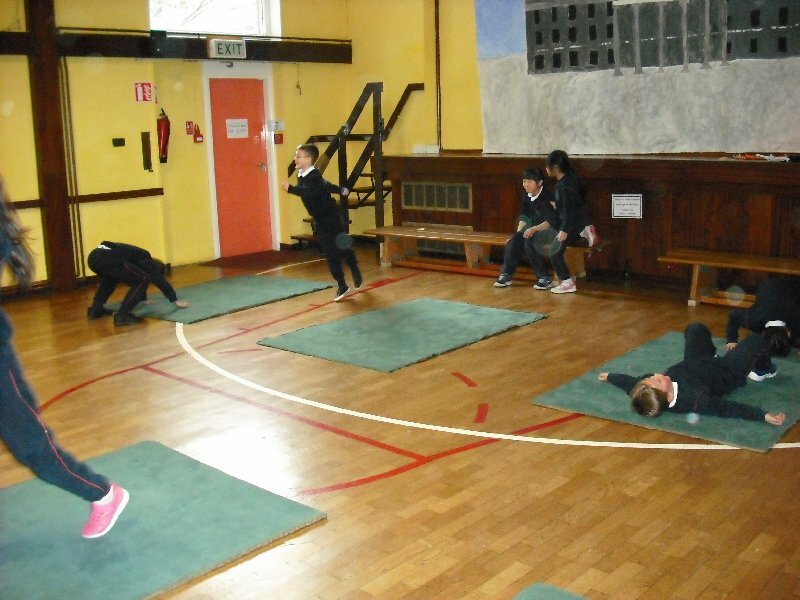 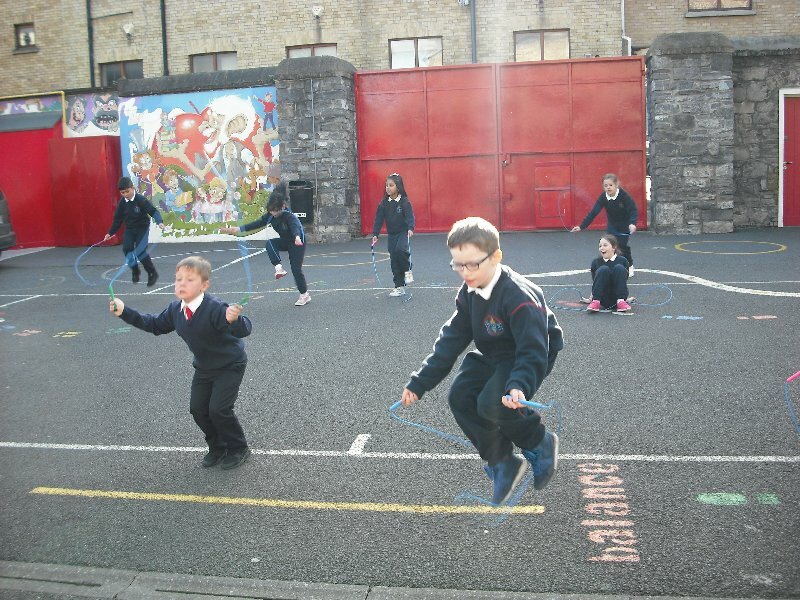 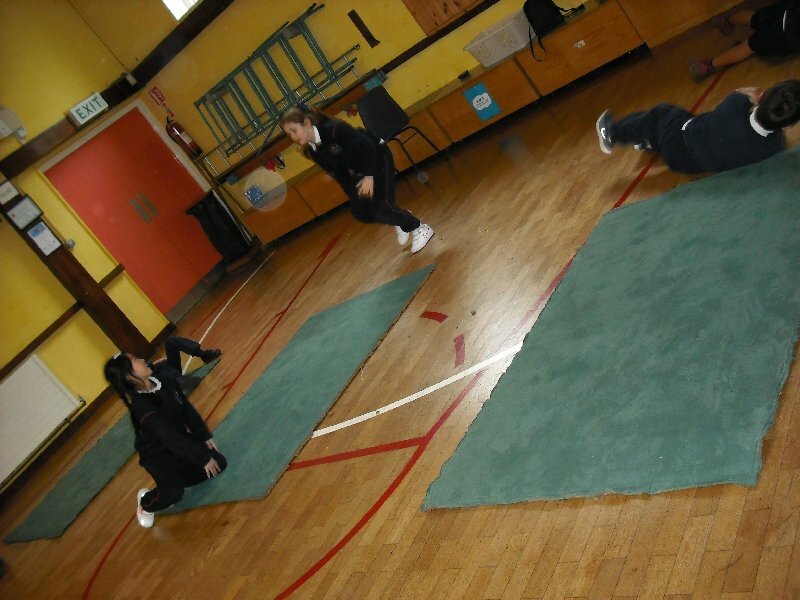 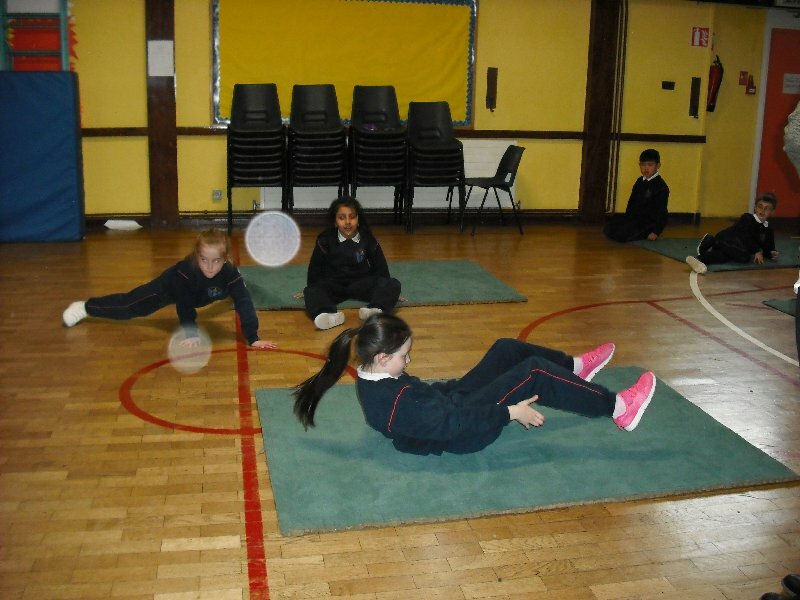 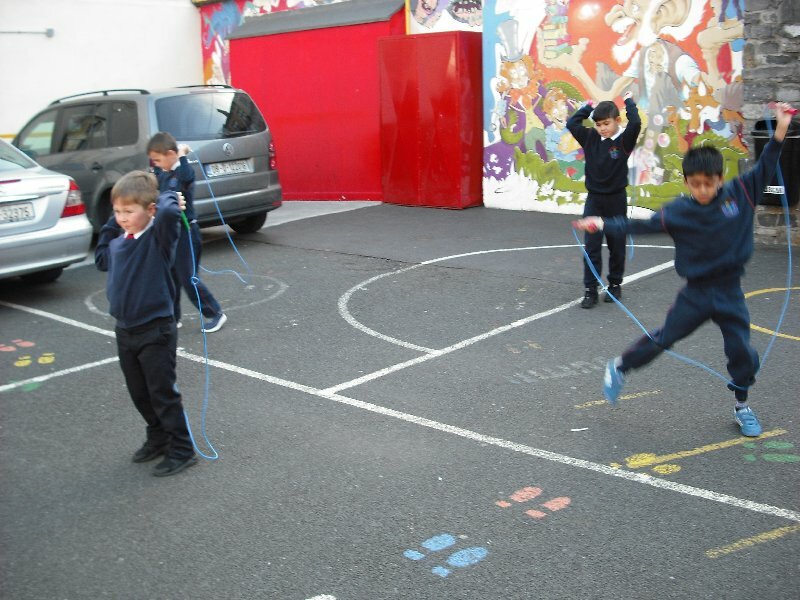 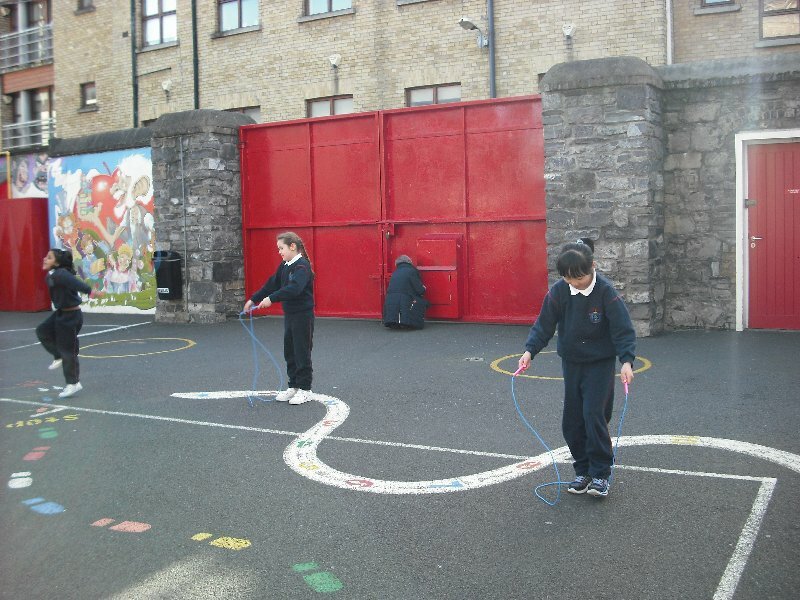 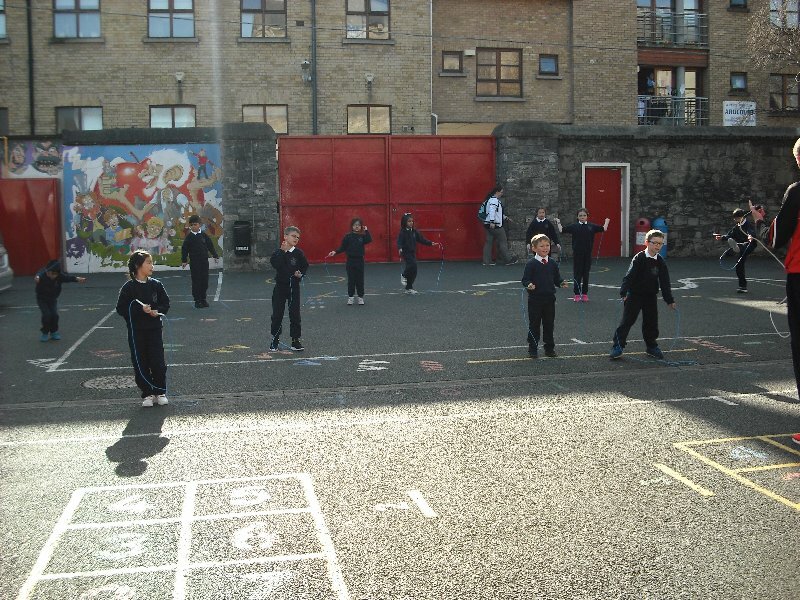 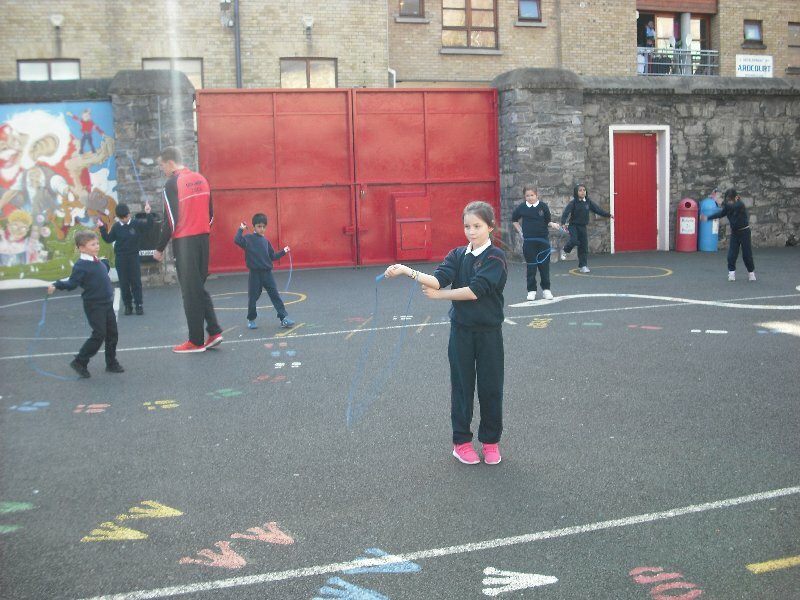 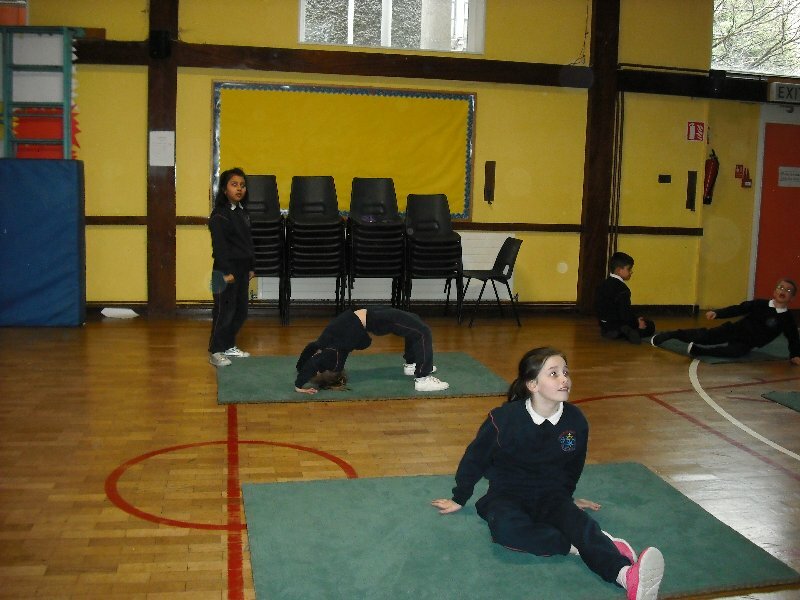 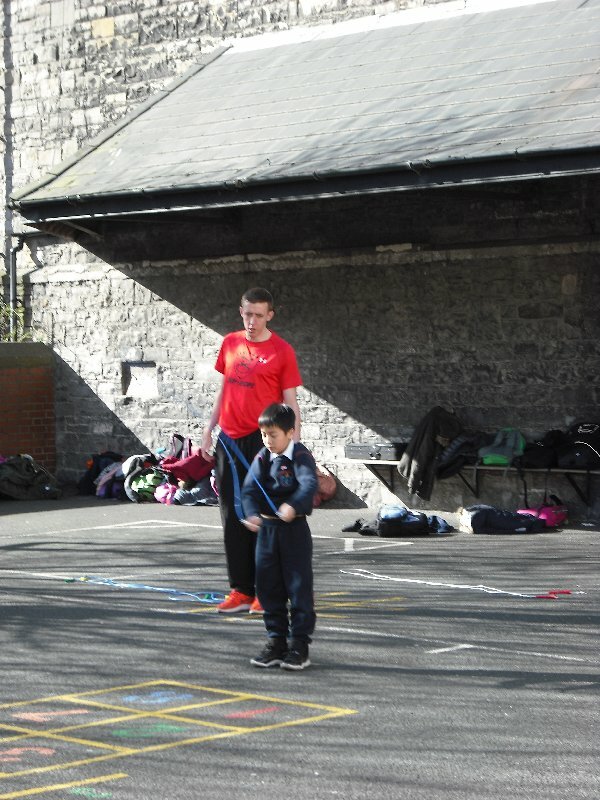 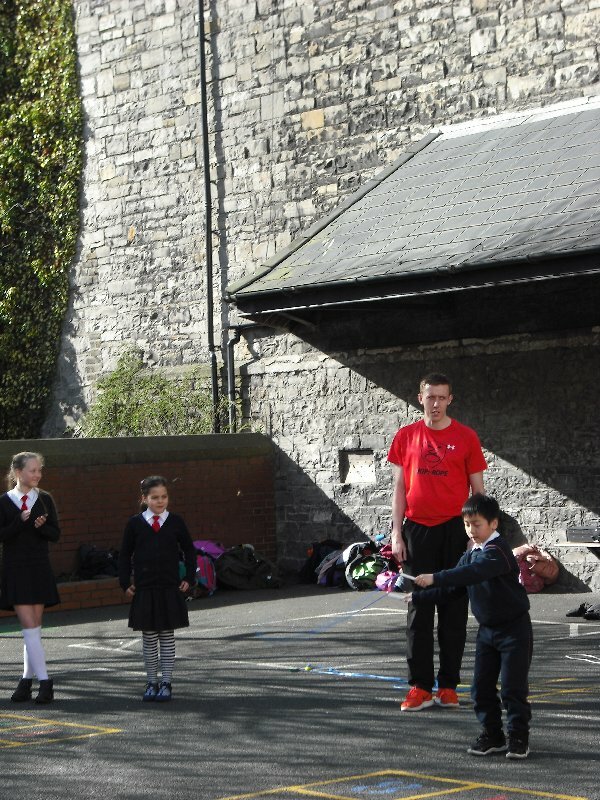 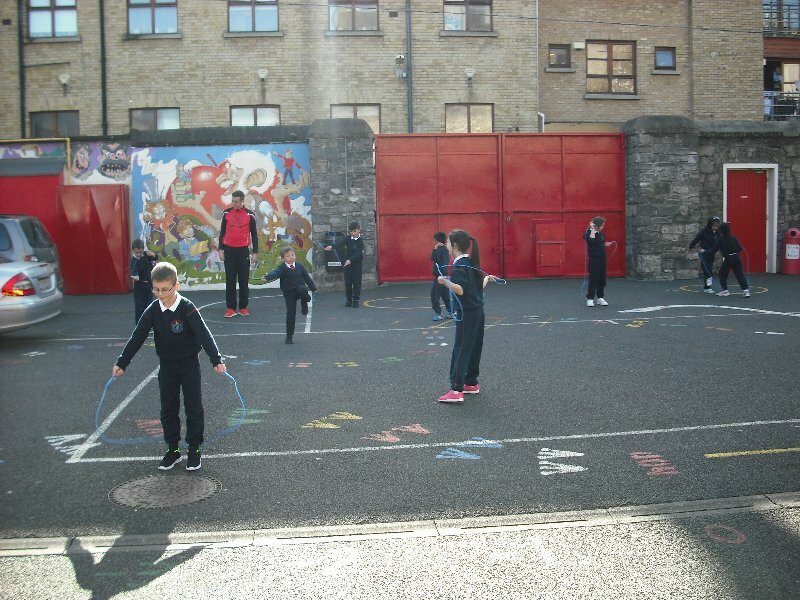 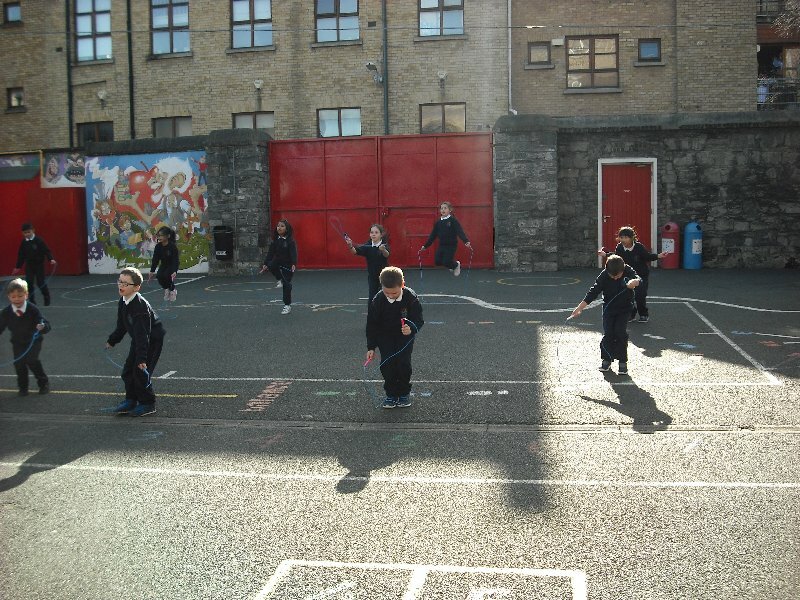 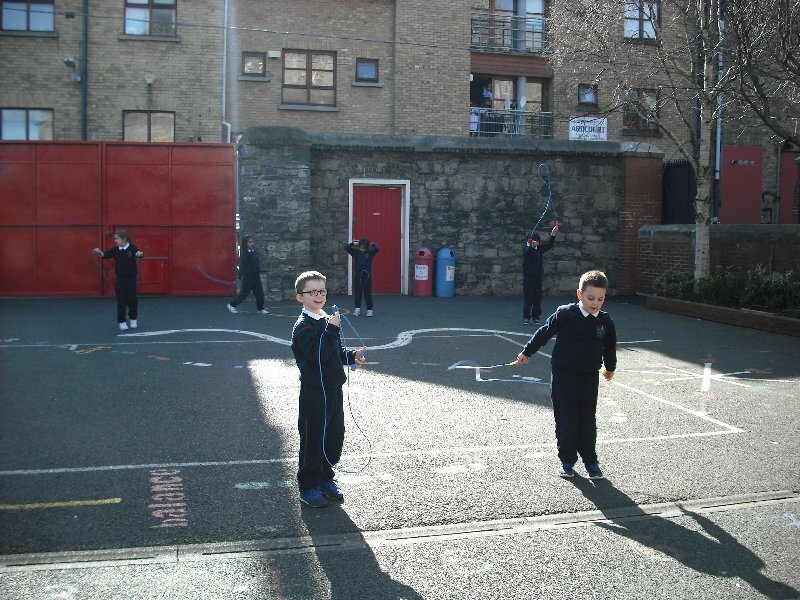 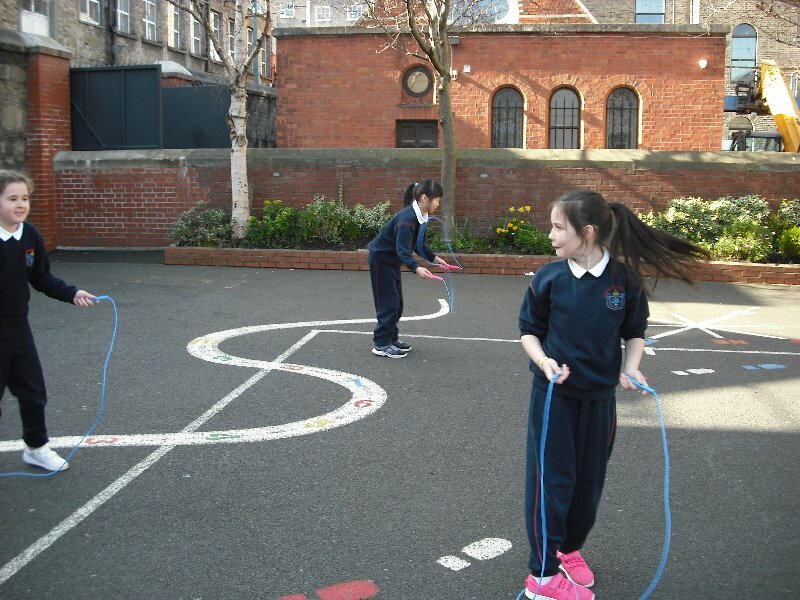 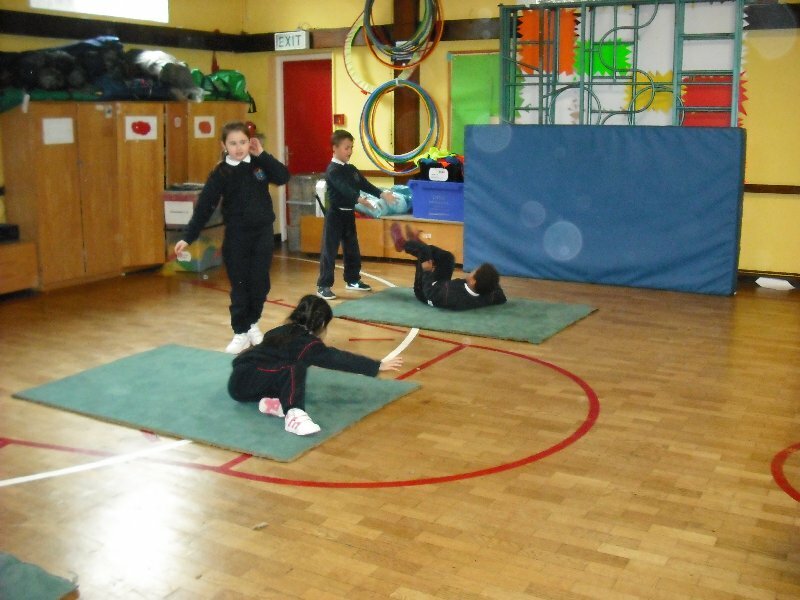 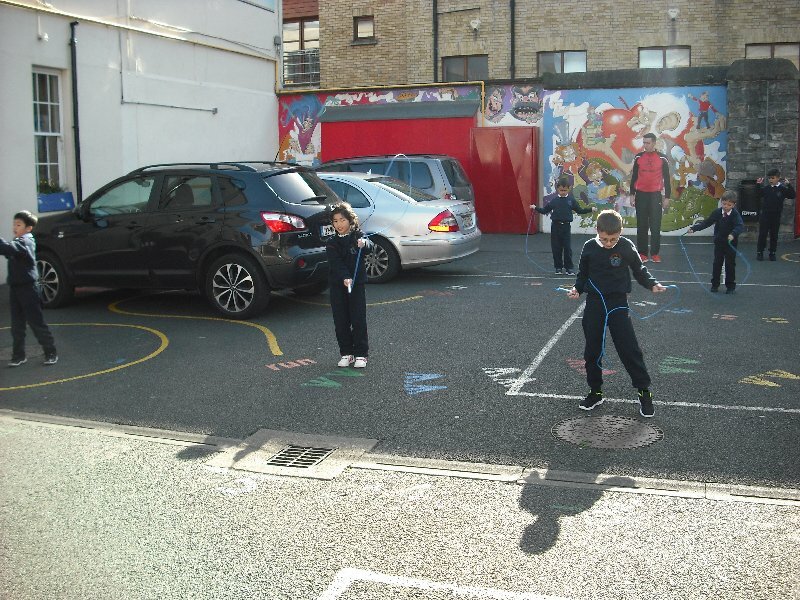 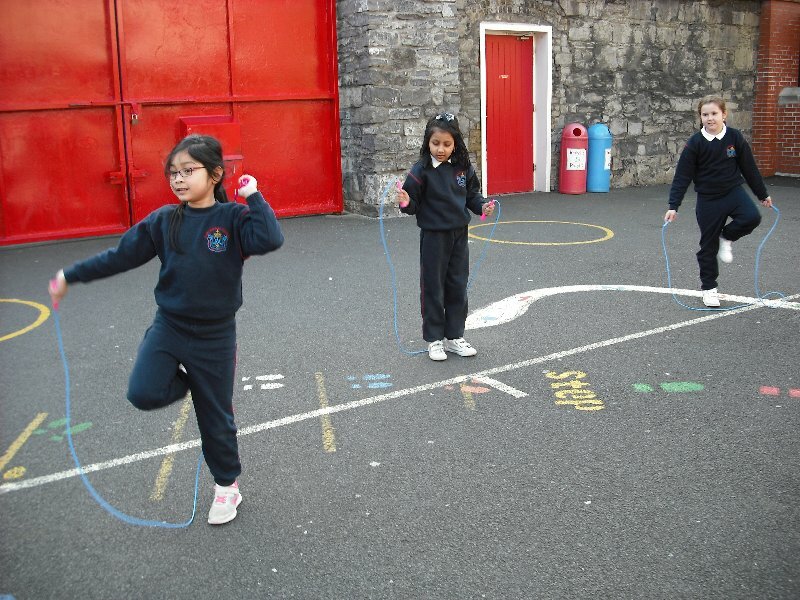 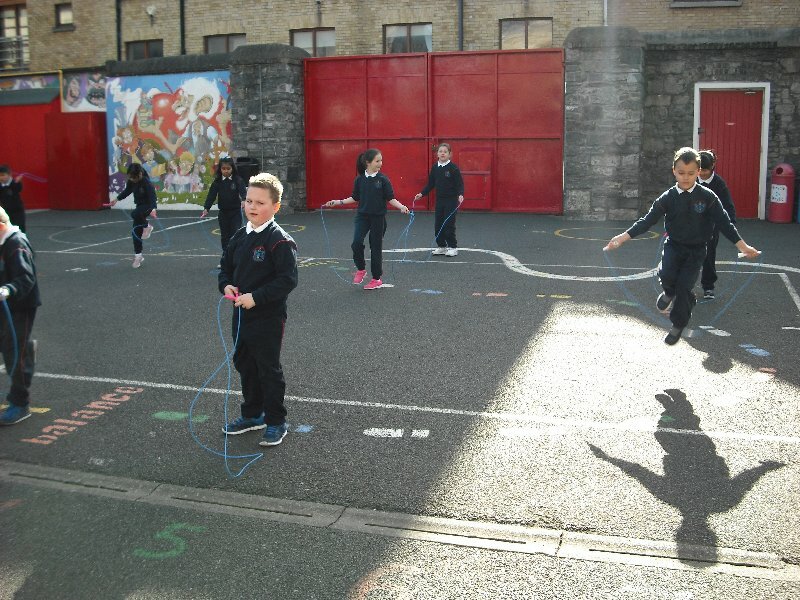 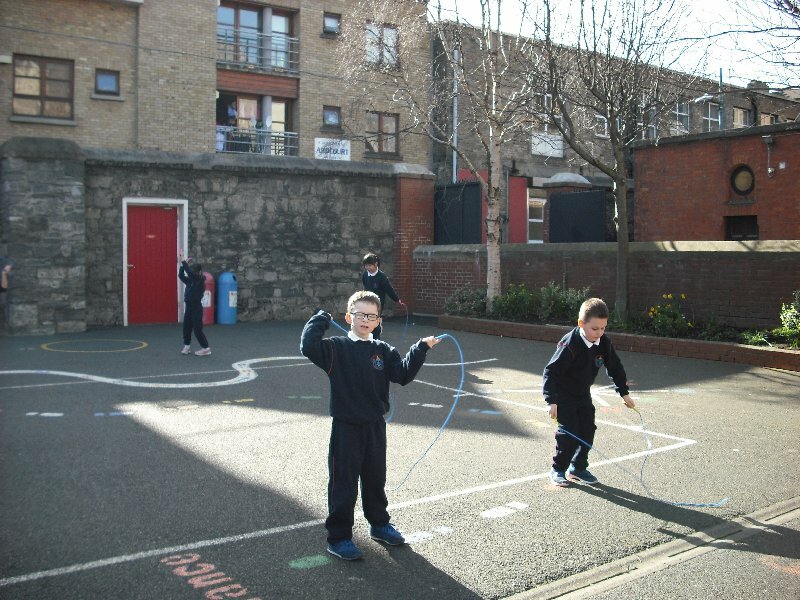 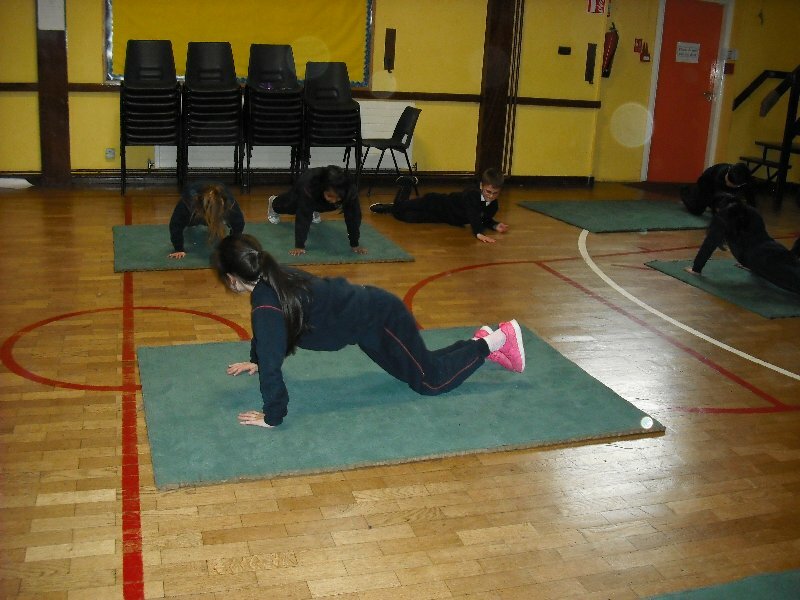 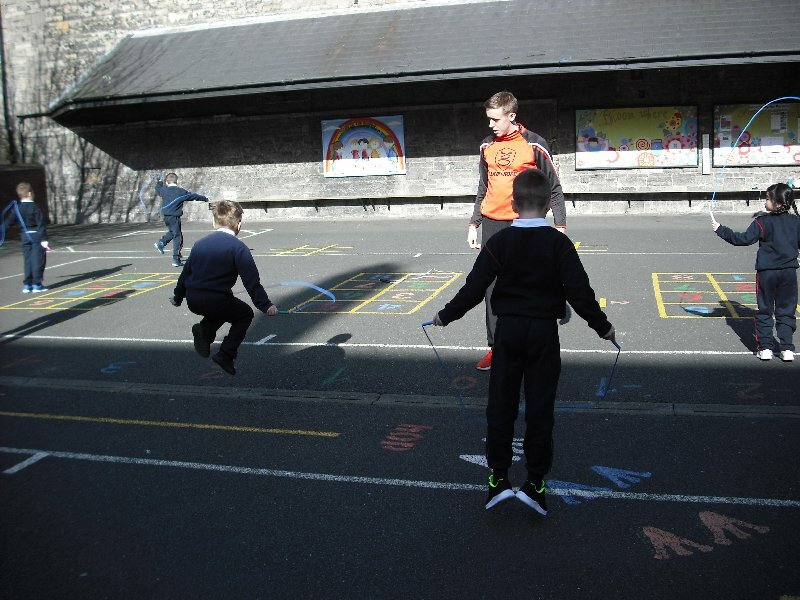 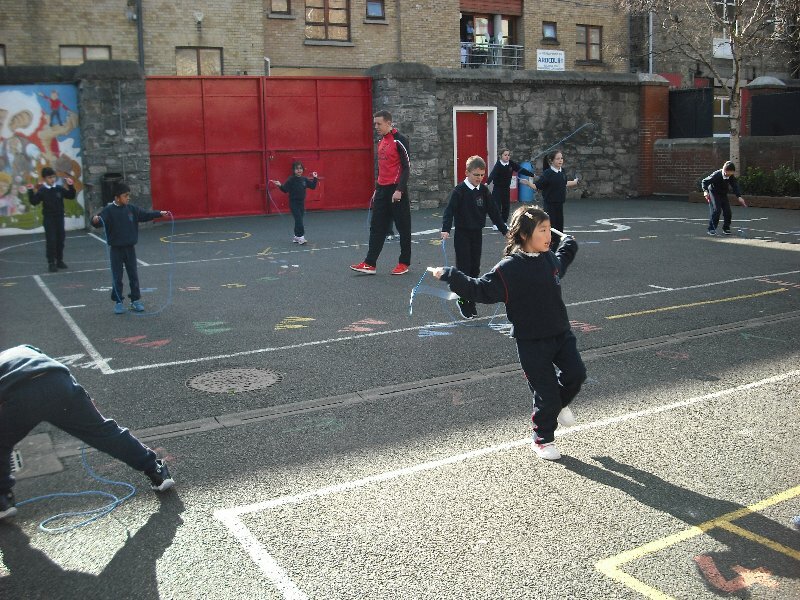 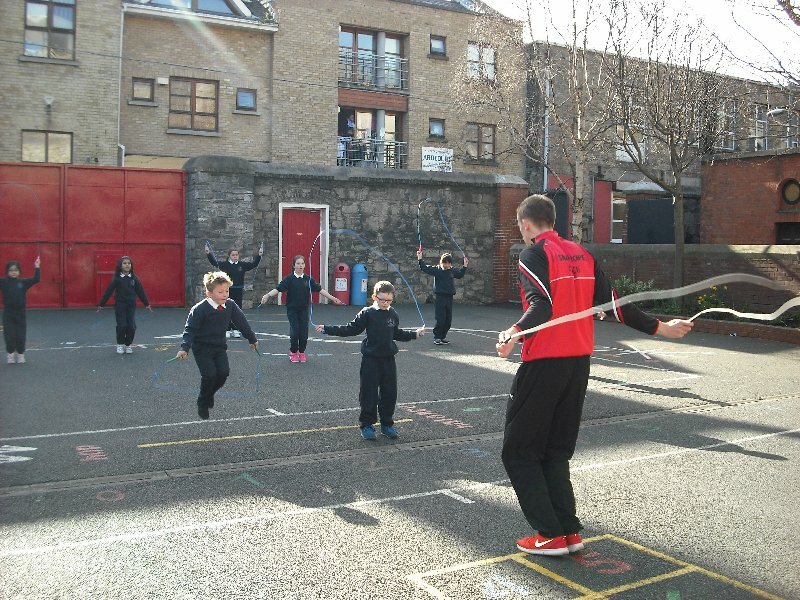 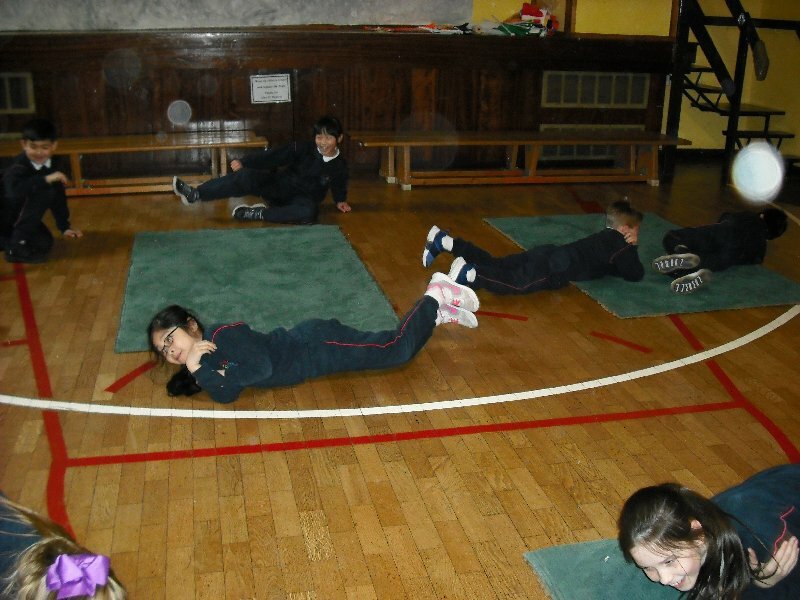 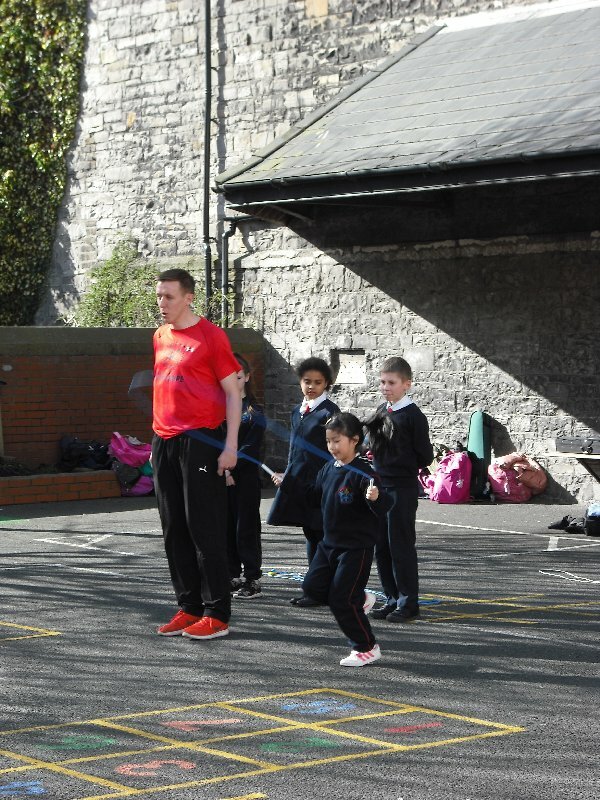 On Wednesday 15th of March 2017 Ms. Mc Donagh organised a fantastic Skipping Workshop for 2nd-6th. 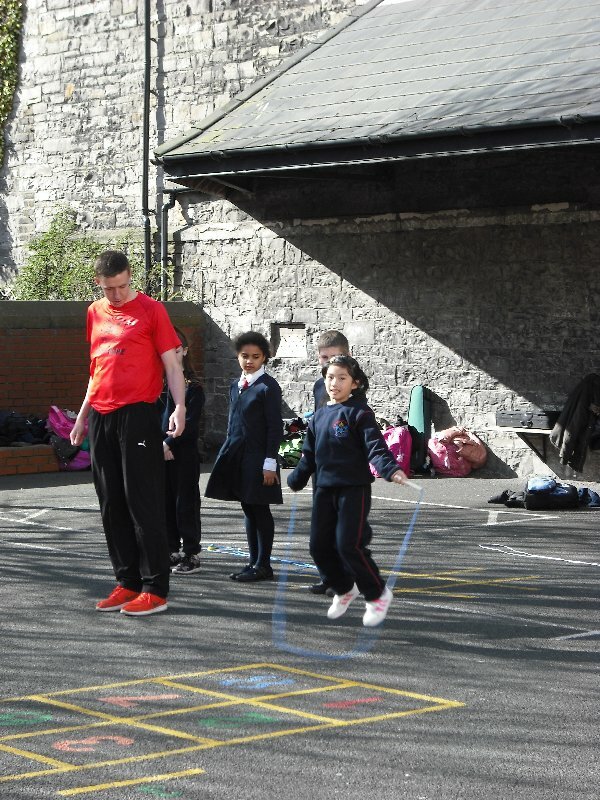 Mark was our teacher and he showed us lots of new skipping techniques and built up our confidence. 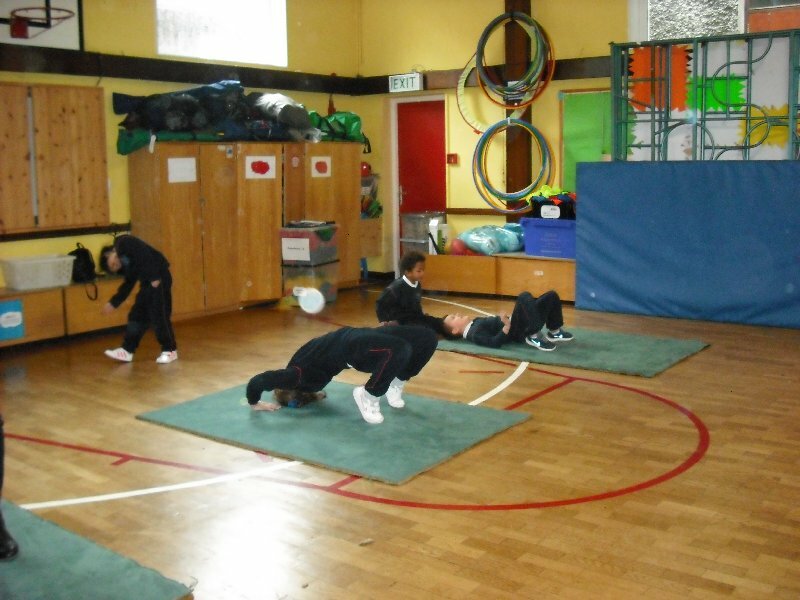 Roll on Skipathon 2017! 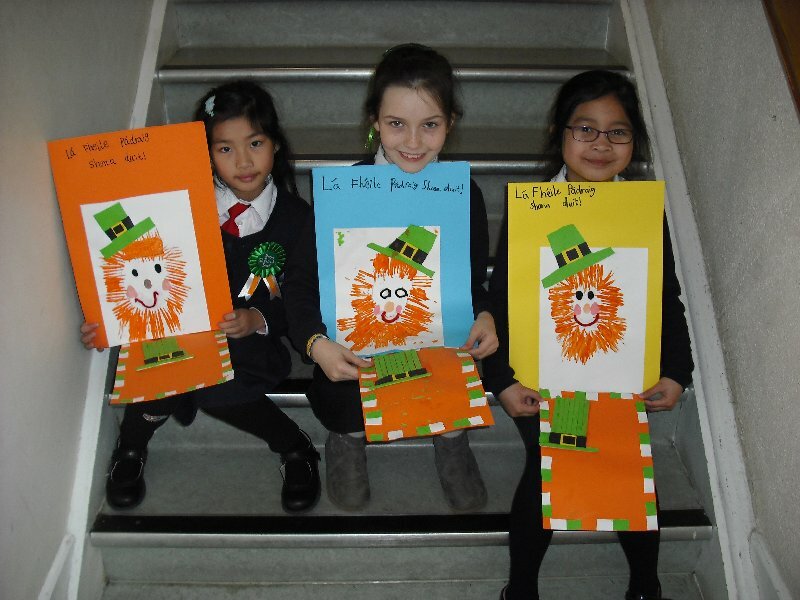 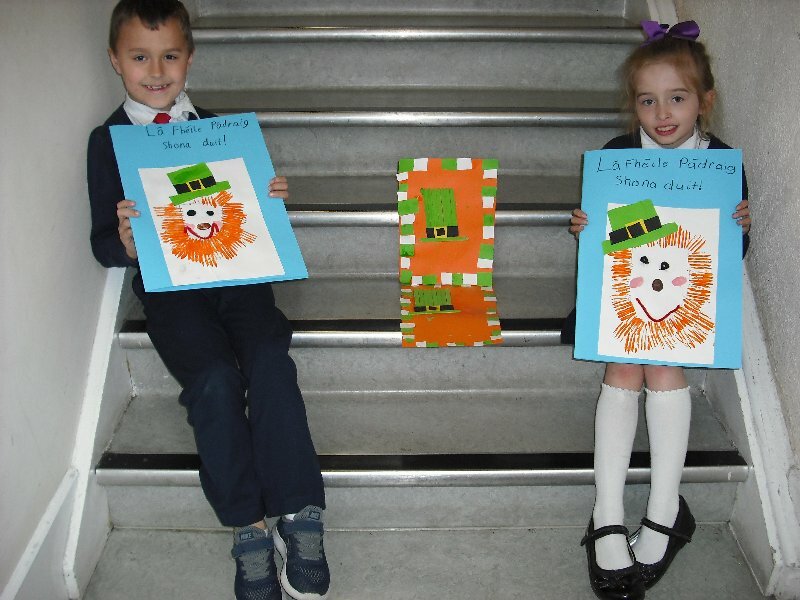 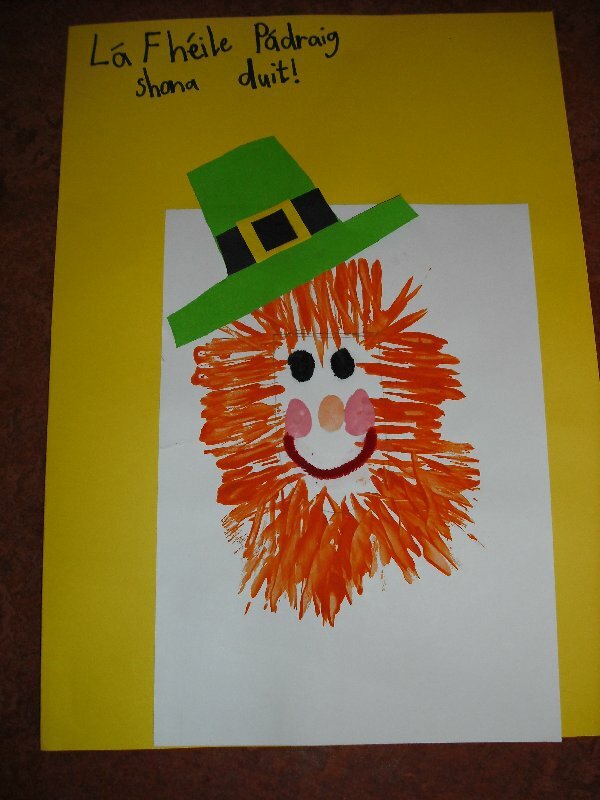 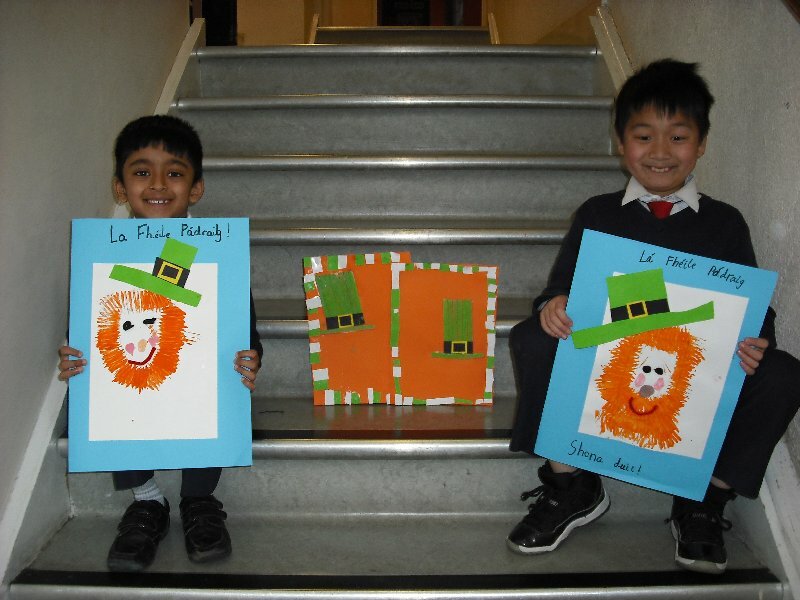 We made St. Patrick Hat Pictures from lollipop sticks and card. 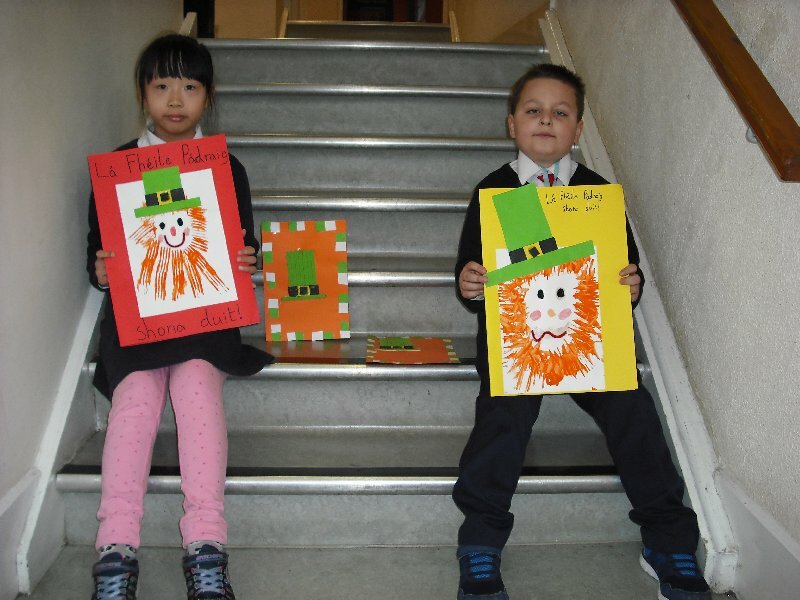 We decorated them with a mosaic of the Irish flag. 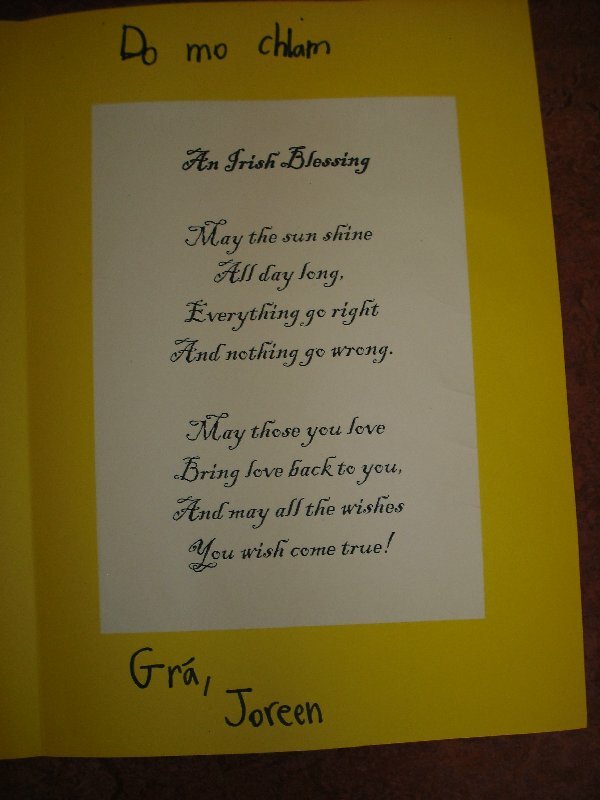 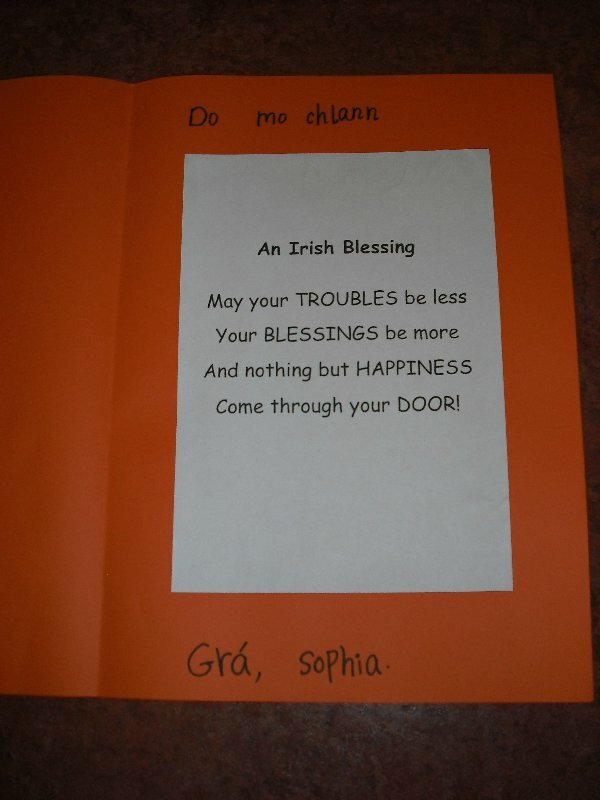 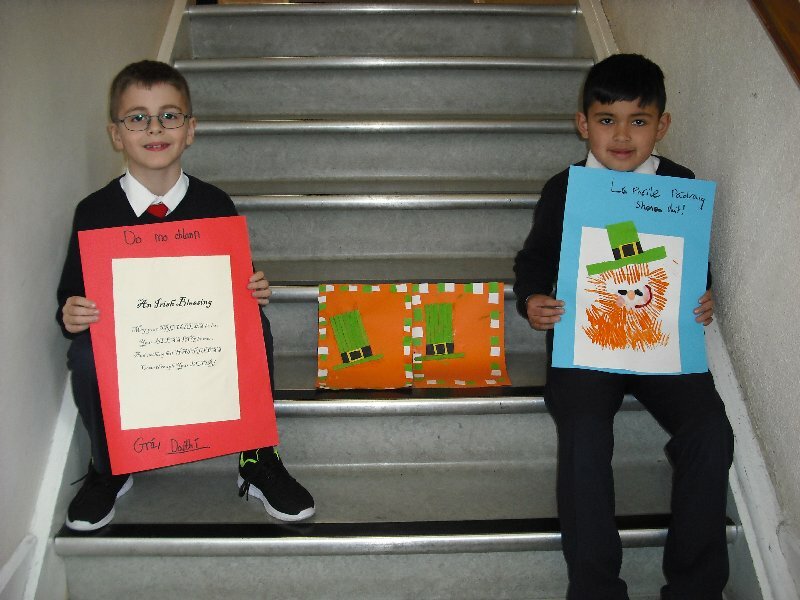 We also made St. Patrick’s Day Cards and typed Irish Blessings for inside. 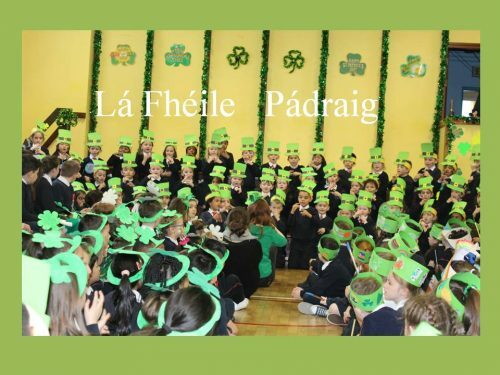 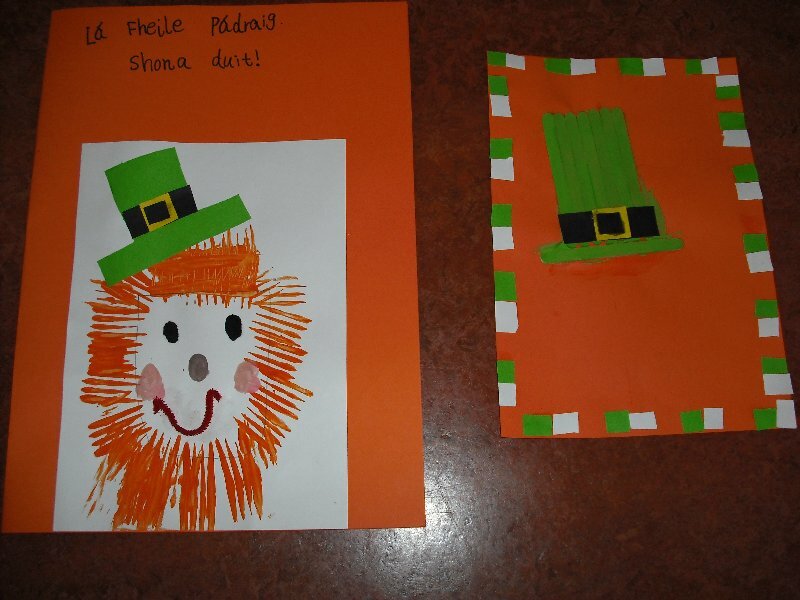 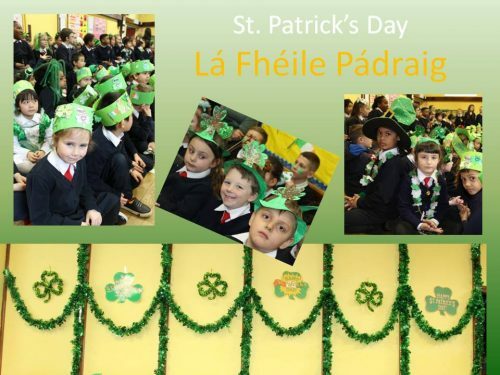 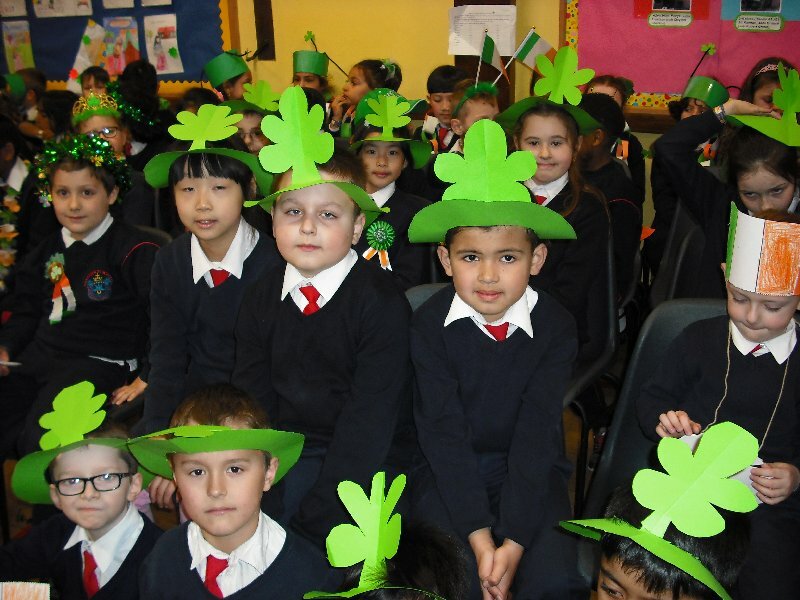 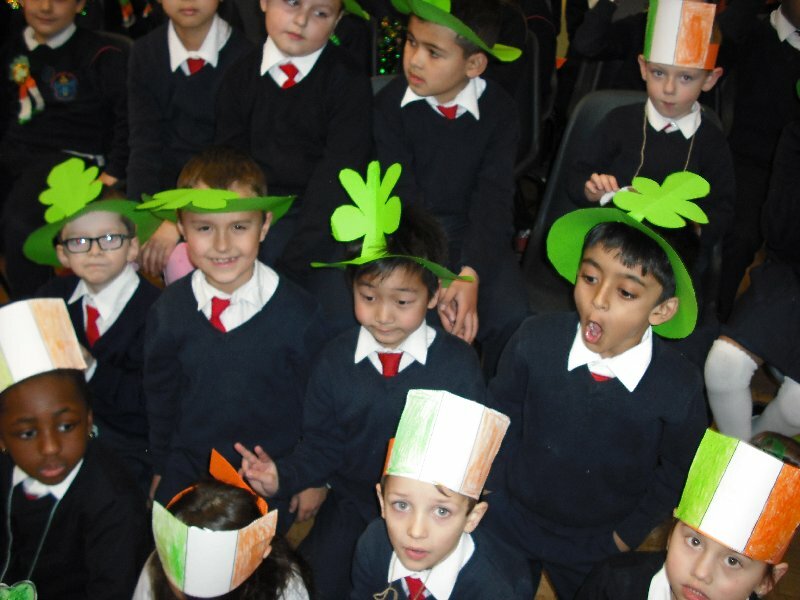 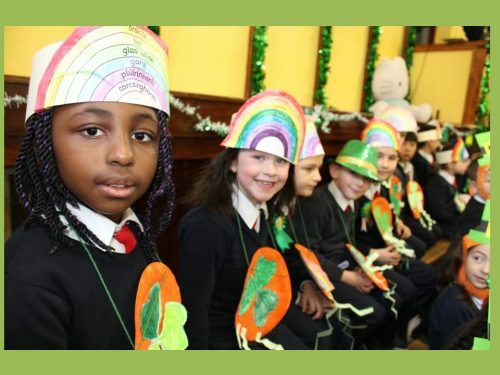 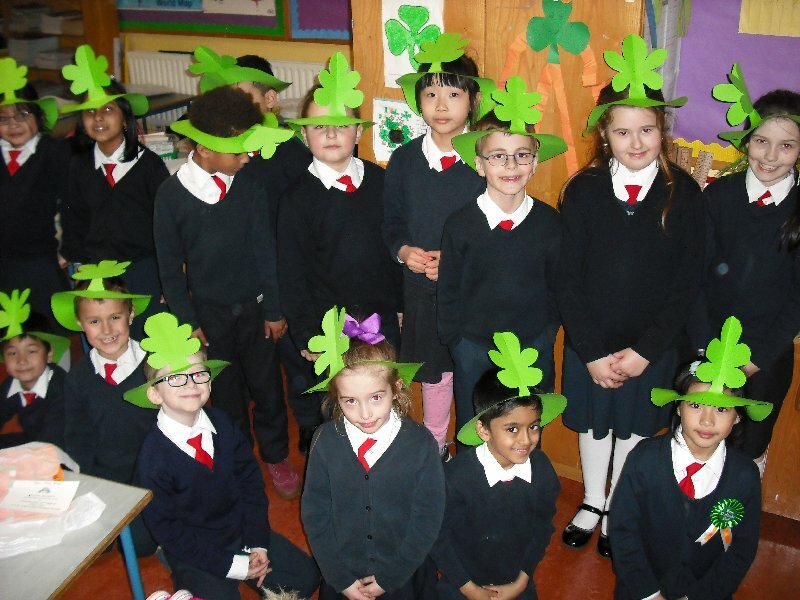 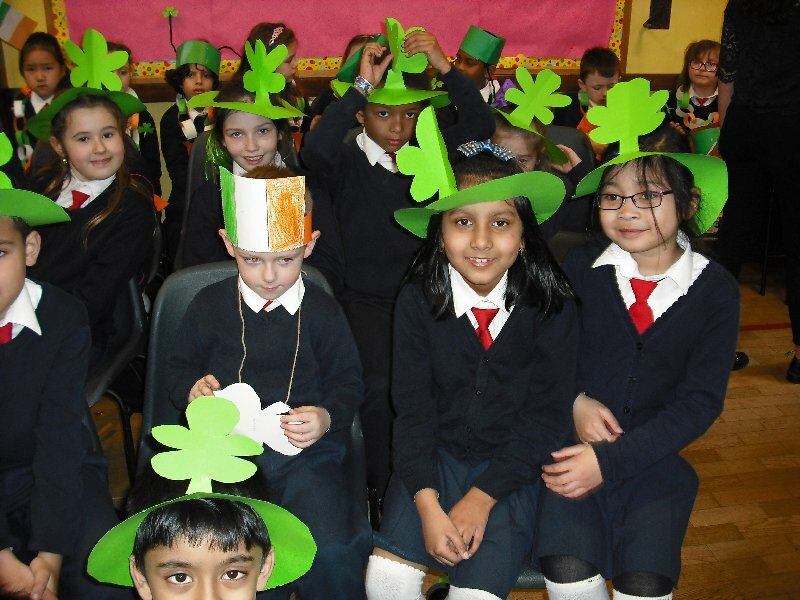 Finally we made Shamrock Hats which we wore to the Ceolchoirm where we performed Oró sé do bheatha ‘bhaile on the tin whistle and sang Míonna na Bliana and Lá ‘le Pádraig. 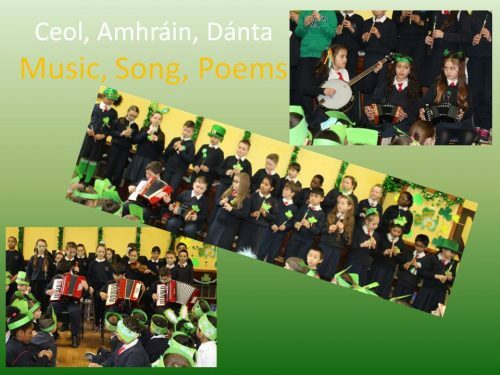 On Wednesday 22nd of March 2017 Áine organised a meeting for parents on how to help your child with language and comprehension. 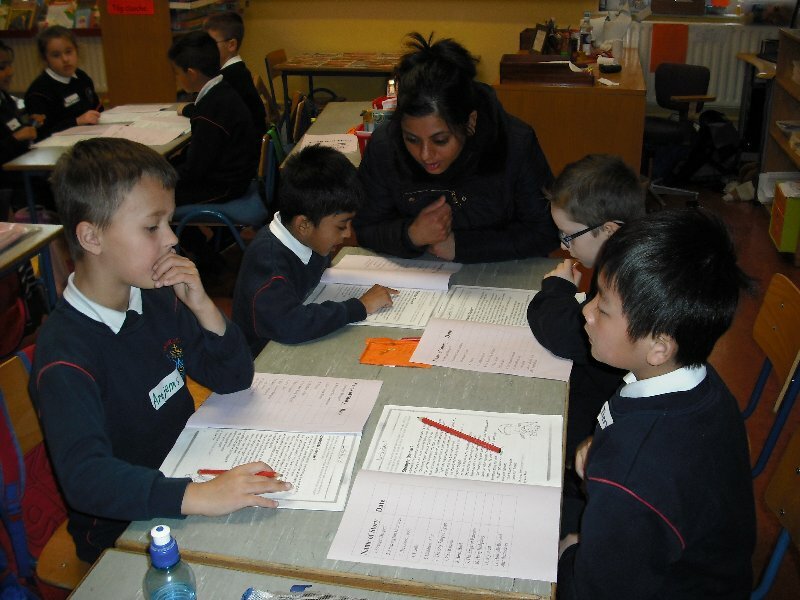 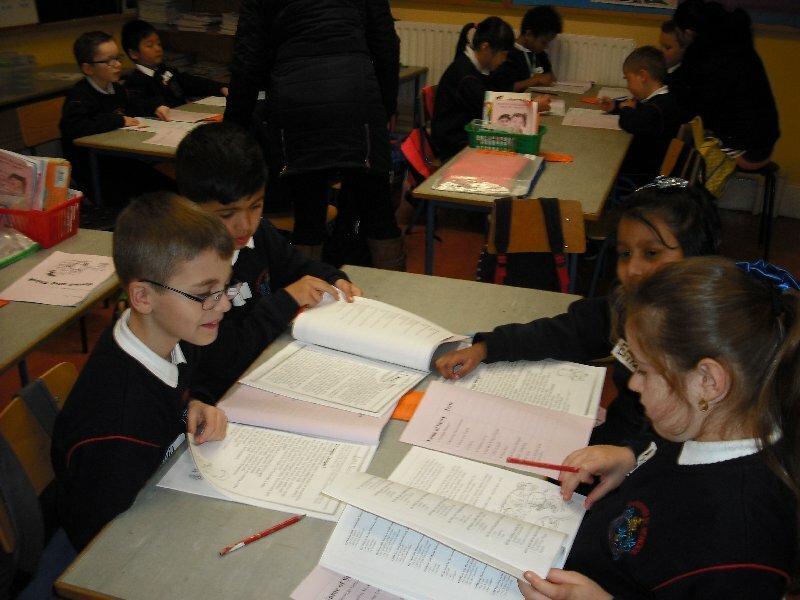 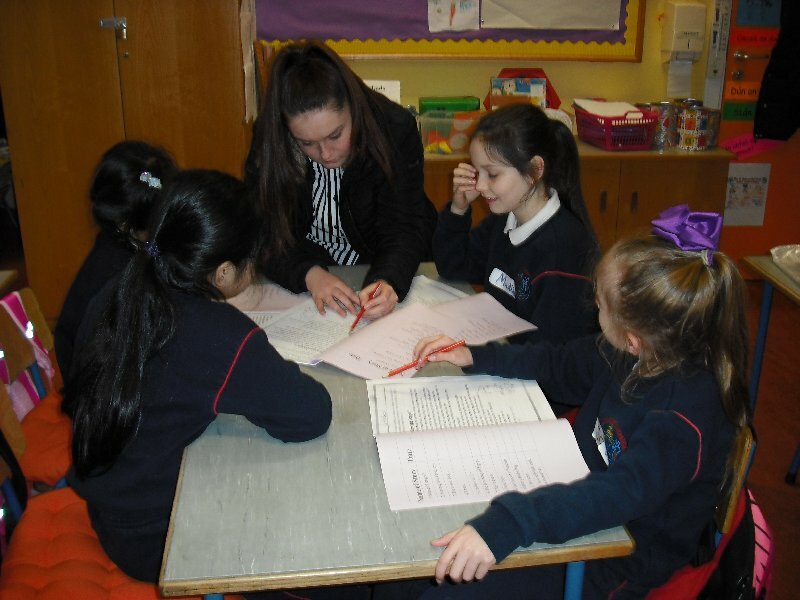 Following the meeting some parents came up to the classroom to help the children with the first story in the Read, Think and Write Booklet. 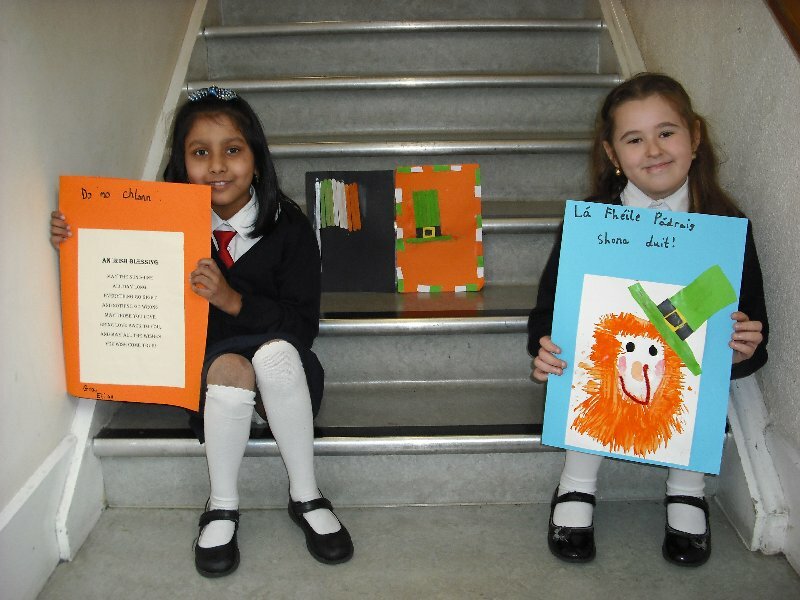 We are very grateful to Patrick’s Mum, Milan’s Mum, Sophia’s Mum for coming and to Lauren who helped out too. 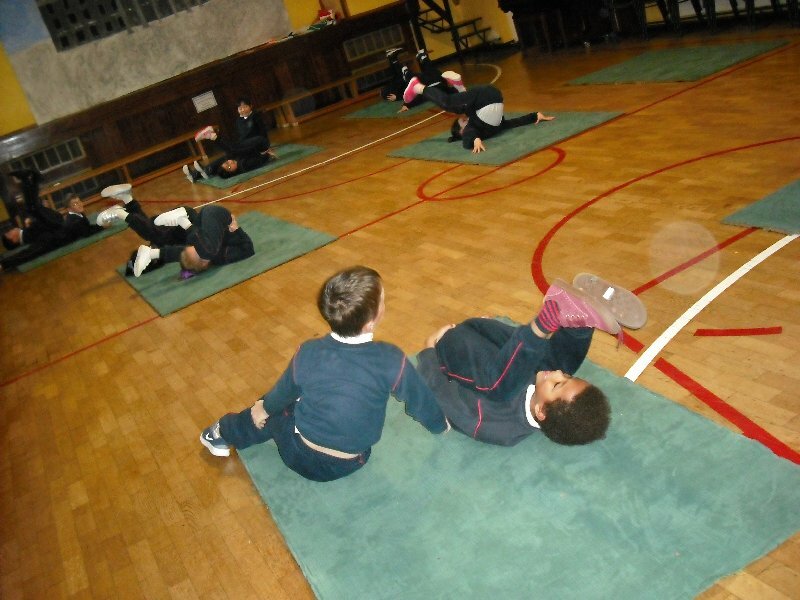 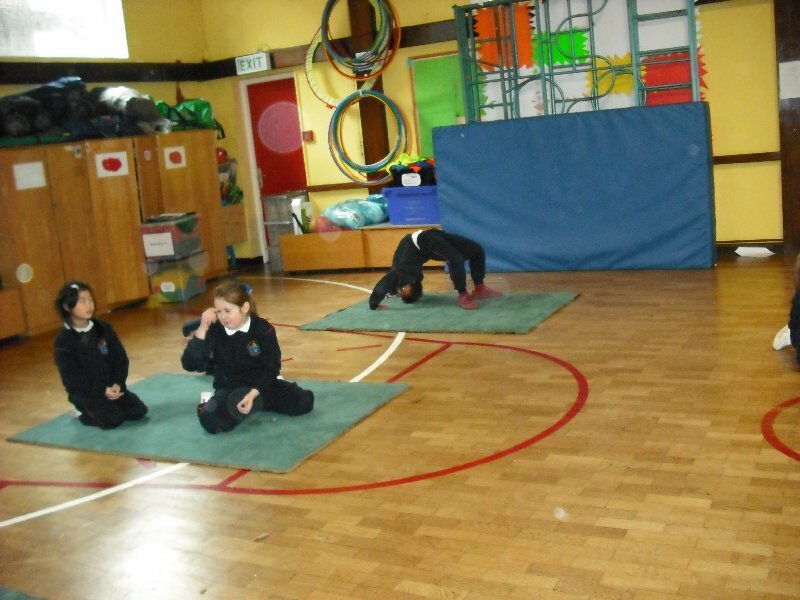 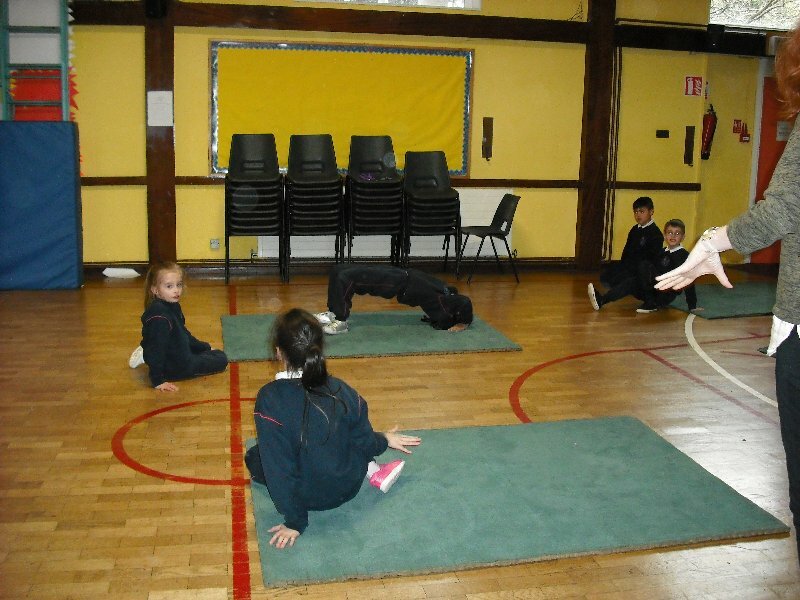 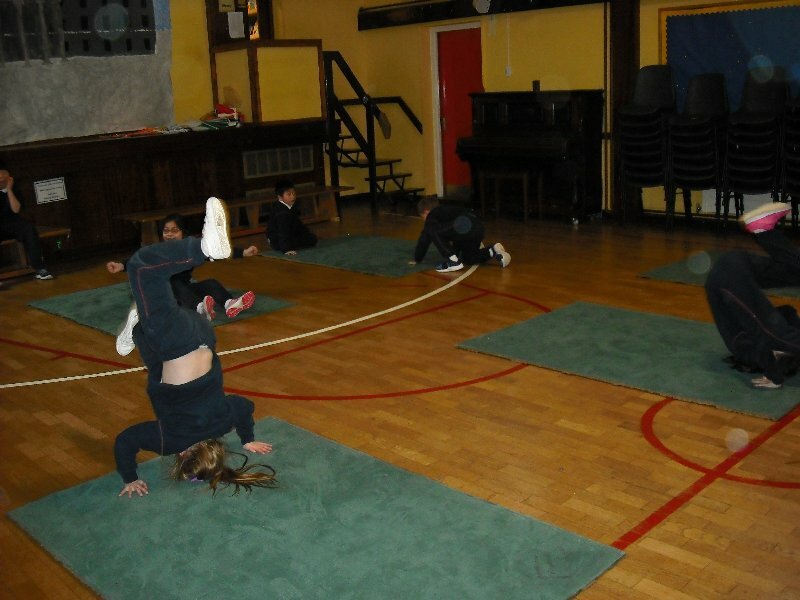 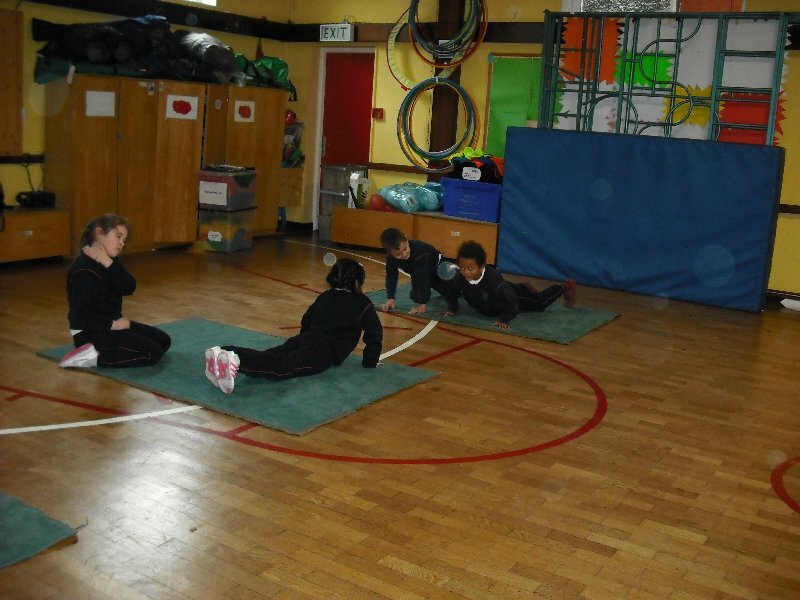 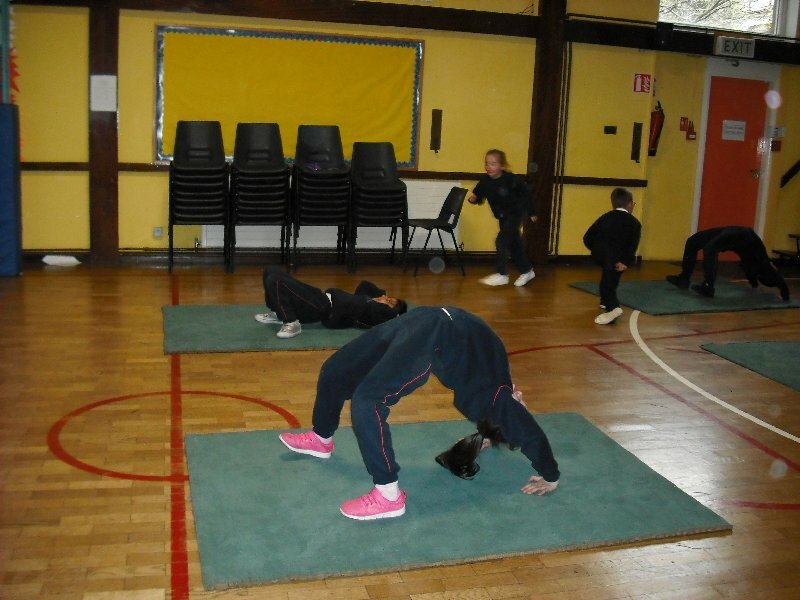 Ms. Downey’s boys and girls have been working hard at Gymnastics. 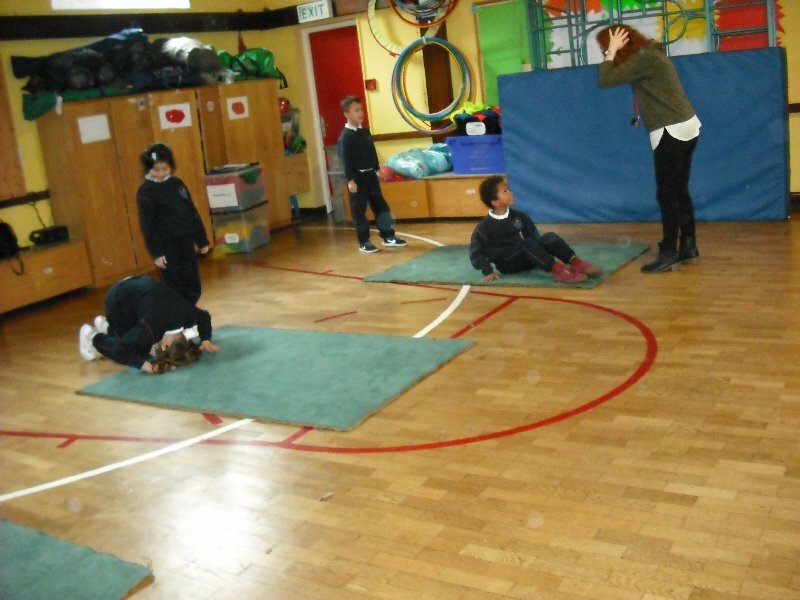 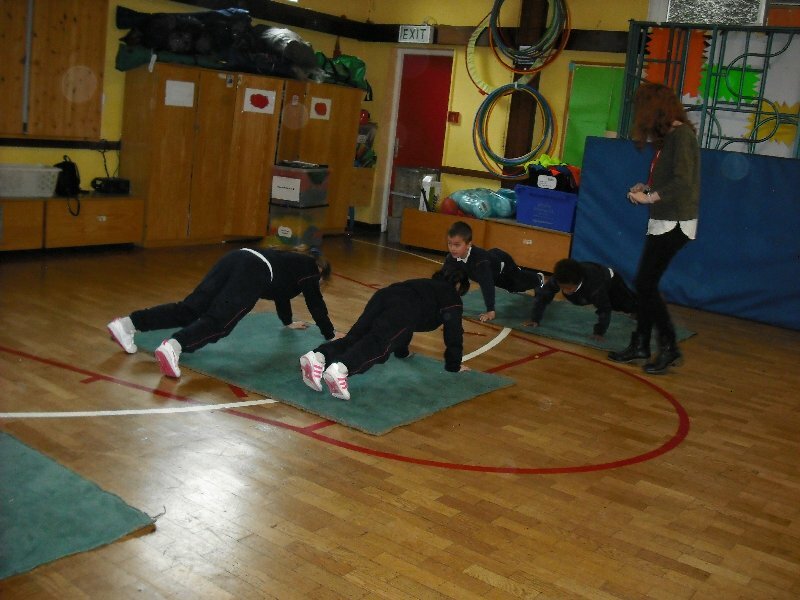 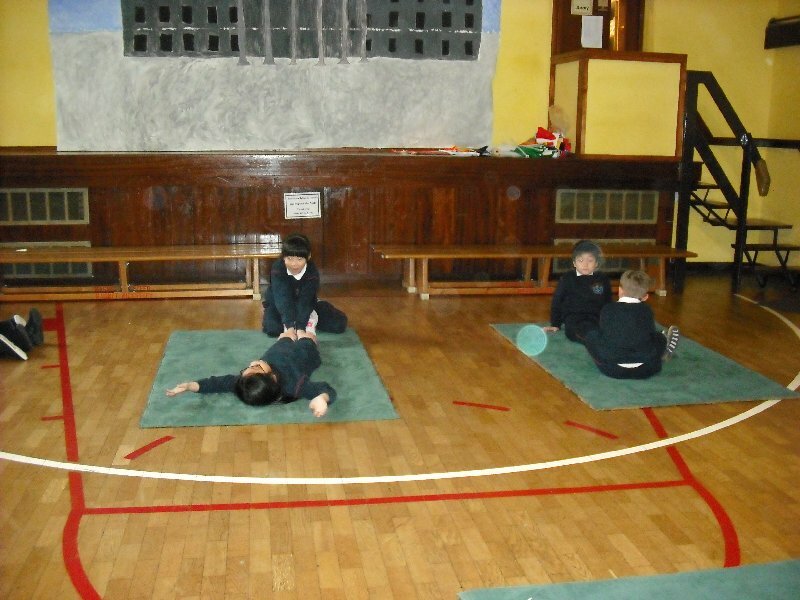 We have learned the sit-up, ride the bike, the side roll, the forward tumble, the crab and the press-up. 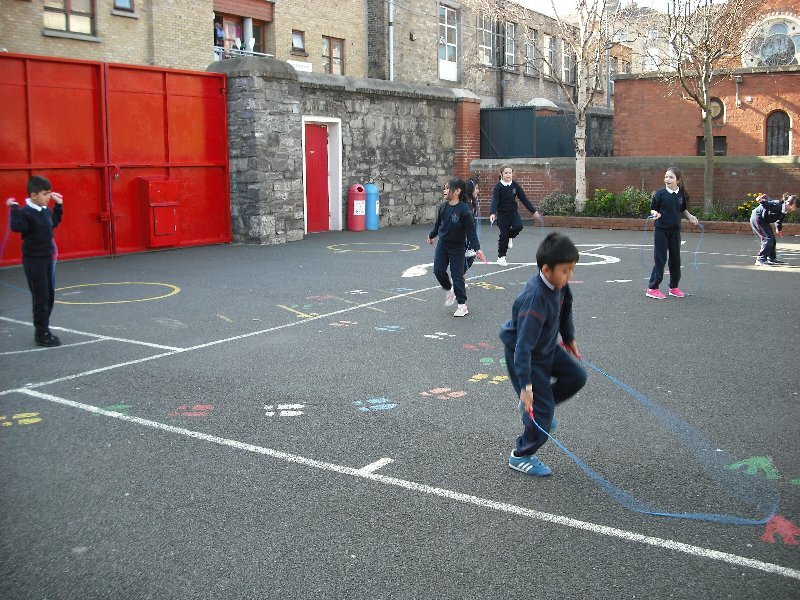 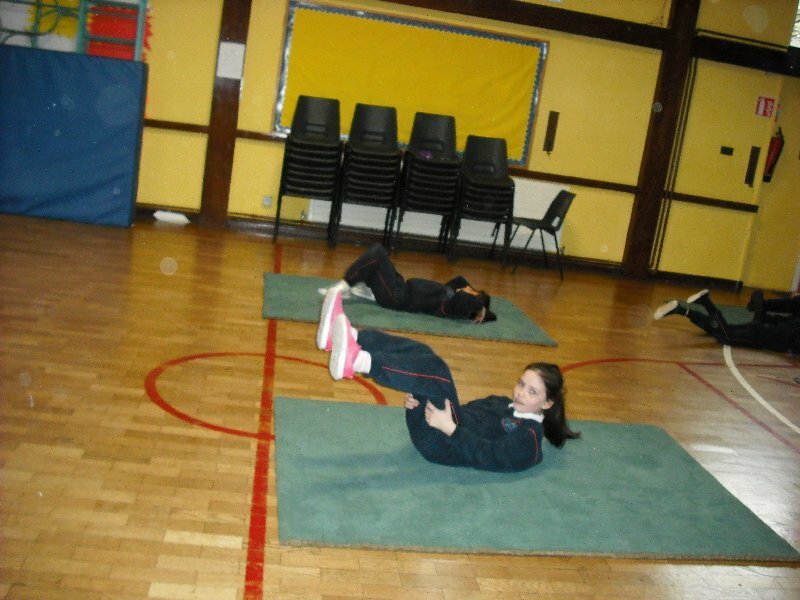 Thanks to Lauren, our Transition Year Student, for taking the photos. 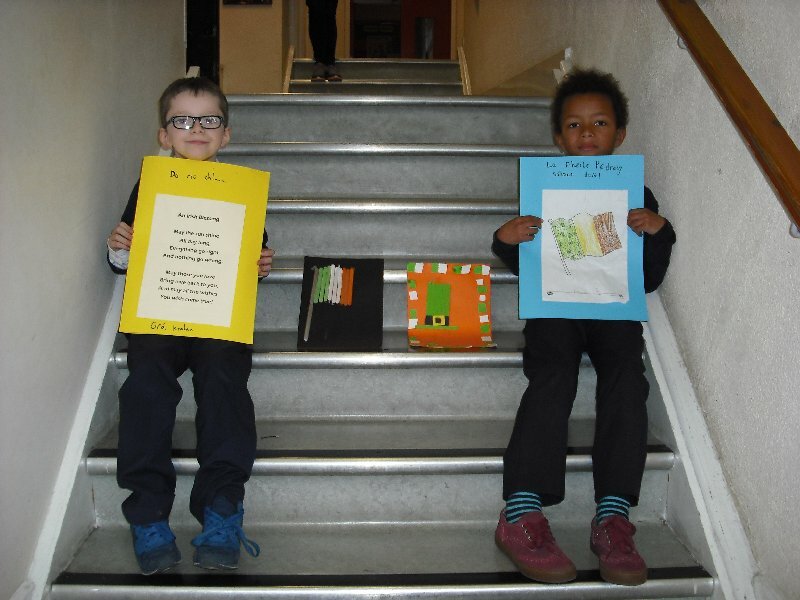 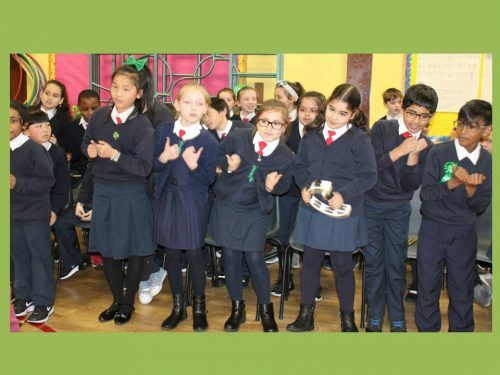 Have a look at our efforts!